An emergency medical treatment tooth preserving system that helps to save teeth that have been knocked out. 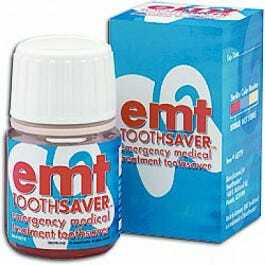 EMT ToothSaver helps protect a knocked-out tooth from cell damage and dehydration, expanding the window for replantation. Suspends the tooth in pH-balanced , cell culture fluid which is biocompatible with the tooth's PDL (periodontal ligament) cells. Tooth can be safely stored up to 24 hours until replantation. Toothsaver can be easily packed in medicine cabinets, first aid kits, gym bags or anywhere there is increased risk for mouth injuries. Storage medium for teeth or tooth fragments until replantation by a dentist. A tooth (root and at least parts of the crown) intentionally removed or knocked-out by trauma should remain viable if not allowed to dry for more than 30 minutes. Replantation is often successful when tooth root cells are nourished in the EMT ToothSaver vial. Shelf life - check label expiration date. Storage - can be stored at 36 - 77 degrees F until expiration date when opened. Refrigerate vial if a tooth must be stored longer than 12 hours. 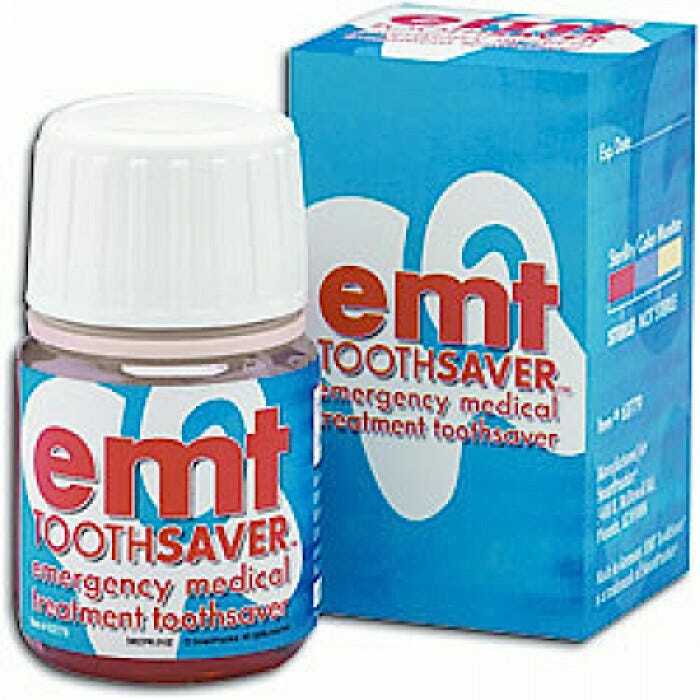 If EMT ToothSaver fluid does not appear to be red, it is no longer sterile and should not be used.